Garden in the Woods, located in Framingham, MA is the New England Society’s crown jewel, a botanic garden where you can see more than 100 rare and endangered species of native New England flora. Open to the public from mid April through October, you will discover an ever-changing tapestry of flowers and foliage along paths tracing the glacially carved landscape including wet and dry areas, a stream and canopy of trees. For over 30 years the Society has perfected techniques to propagate and grow more than 450 species of native plants, and selling them in their Garden Shop as an alternative to wild-collected plants. Early American Designs of Lighting Fixtures, hand made by Gates Moore. Products include chandeliers, sconces, lanterns, post lanterns and accessories. See website for on-line catalog. Hours by appointment. A list of restorations, museums and collections for which their fixtures have been made is available upon request. At Heritage Lanterns, every single light is cut, bent, assembled, and finished by hand. You can now view their entire selection of hand-crafted lighting online among categories of Globes, Lanterns, Post Lights, Sconces, Chandeliers, Ceiling Lights, Lamps and The Cottage Collection (Arts & Crafts style). 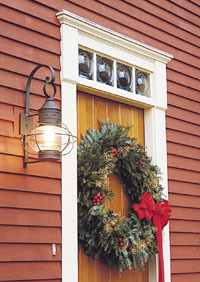 Or you may visit their shop and showroom in Yarmouth, Maine and watch Heritage Lights being made. There is no “production line.” One craftperson completely builds one light. Members of the Historic Building Inspectors Association have met specific experience requirements and have demonstrated excellence in evaluating and reporting on structural and mechanical conditions observed in historic buildings. They have an understanding of historic preservation standards and encourage historic home buyers and owners to preserve the character of historic properties. Visit the website for a complete list of members in MA, ME, NH, CT, RI & VT. Historic New England is a non-profit, membership organization dedicated to protecting the region’s past by preserving its buildings, landscapes, objects, photos and stories. 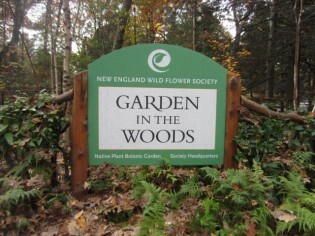 The organization maintains 36 historic properties located in Massachussets, Connecticut, Maine, New Hampshire and Rhode Island that are open to the public. In addition, Historic New England makes available to members a library & archives, greenhouses, lectures & tours, and, depending on membership level, consultation on design or construction proposals.